John Stewart Rock (1826-1866) spoke from personal experience when he declared that “whenever the colored man is elevated, it will be by his own exertions” (1). His accomplishments were extraordinary for any man, especially given that he died at the young age of forty. Born in Elsinboro, NJ, into a free black family, Rock exhibited a voracious appetite for knowledge. Until age 18, he studied in the school Salem Quakers founded for black students. Rock became the head of the school in 1845, the first of his many professional advances. At the same time, he began studying medicine with several Salem physicians, entering into an apprenticeship to become a dentist with Dr. Samuel Harbert, whose office was located at 81 Market St. in Salem, NJ, across from Johnson Hall. 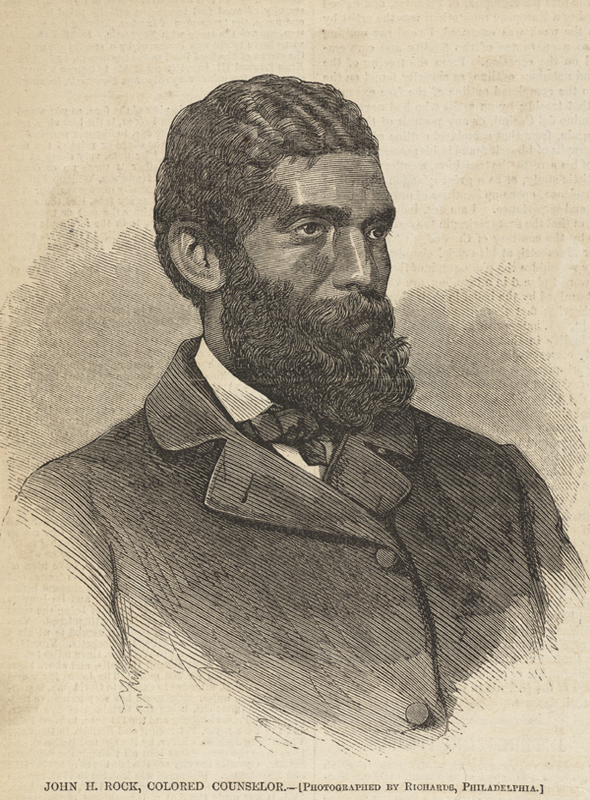 At age 22 Dr. Rock launched his dental practice and his reputation as a powerful writer and speaker in the cause of racial suffrage and abolition. In 1850 he moved his practice to Philadelphia and studied medicine, completing his studies by 1852. He then relocated to Boston, attracted no doubt by the prosperous free Black and abolitionist communities there, which included Frederick Douglass. While his reputation continued to grow, his health began to fail. A recuperative trip to France helped him regain his strength; however, his physician recommended he pursue another career, which is why he studied law. Again, he excelled and was admitted to the Massachusetts Bar in 1861. 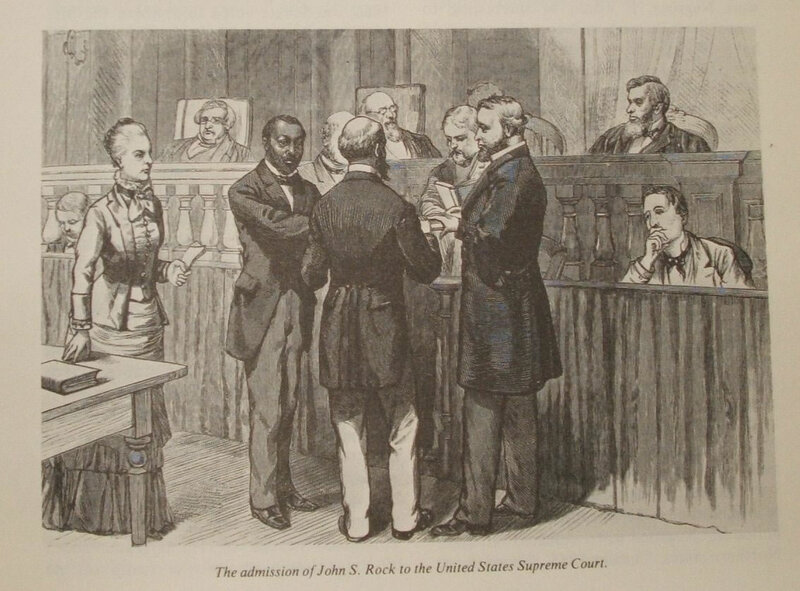 In 1865 he reached the highpoint of his life – he became the first African American admitted to practice law before the United States Supreme Court. Unfortunately, Rock died a little over a year later, leaving us to ponder what might yet have been. Despite a brief life Rock was a forceful voice for freedom, a voice he first discovered in Salem. (1) J. Harlan Buzby, John Stewart Rock: Teacher, Counselor, Salem, NJ: Salem County Historical Society, 2002, 82. Buzby’s biography is the source for this brief sketch and includes all of Rock’s known writings. 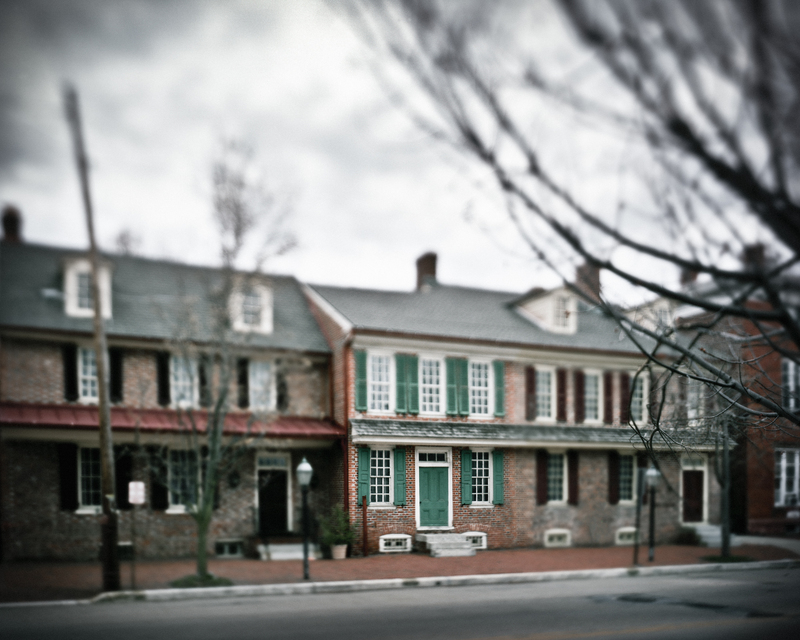 This entry was posted in Seven Stories by Salem County Cultural & Heritage Commission. Bookmark the permalink.